We told our patients that we wanted to spruce up our website with a testimonial or two. You may have seen some of them on the other pages of our site. Here are some that weren’t able to find a home elsewhere on our site. In the many years that I have been a patient at Limerick Dental Care I have found everyone in the practice to be polite, dedicated, prompt and eager to care for my dental needs. I would recommend this practice to one and all. I have been going to Limerick Dental Care for over 9 years now and I am completely happy with the great care they give me. I have a great relationship with everyone in the office. They always make me feel like I am not only a patient but also a guest in their home. One of my favorite things about my dentist is when people ask me what "his" name is and my reply is always "Vanessa". My husband and I first met Dr. Vanessa Adolf in 1996 when she was hired by a dental practice in Delaware County where we had been patients since our childhood. When she relocated to Limerick in 2001, we were so thrilled. Since then she has been treating us and our three children. 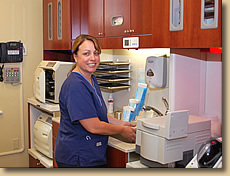 Her skills and dedication along with clearly communicated dental evaluations are invaluable, and her sense of humor and pleasant caring nature make each dentist appointment feel more like a family visit. 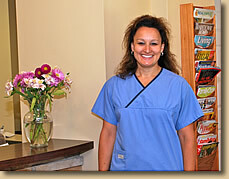 Dr. Adolf and Limerick Dental Care will always be our first choice for family dental care.